During an intense off-season period team owners and managers have been battling to sign up star strikers and talented youngsters to boost their firepower for the third year of the GCL. 13 March 2018 - The new line up of 19 GCL teams for the start of the 2018 season can be revealed, featuring the biggest names in the sport of show jumping. During an intense off-season period team owners and managers have been battling to sign up star strikers and talented youngsters to boost their firepower for the third year of the GCL. This year a guaranteed overall season prize purse of €35 million will be paid out to the world's best individual and team riders. This includes €12 million to be shared at the spectacular new GC Prague Play Offs in Prague in December from 13th - 16th. The new GCL line up announced today sees big names coming into the team series for the first time and others switching teams. The ground-breaking format means leading athletes from different countries can compete together for the first time creating fascinating new alliances - and dramatic rivalries - like never before in the sport. 16 action-packed events in the regular season will culminate in the team and individual finals at Doha, Qatar, this November. And this year, the pressure will be more intense than ever in the battle to earn a golden ticket to the GC Prague Play Offs. 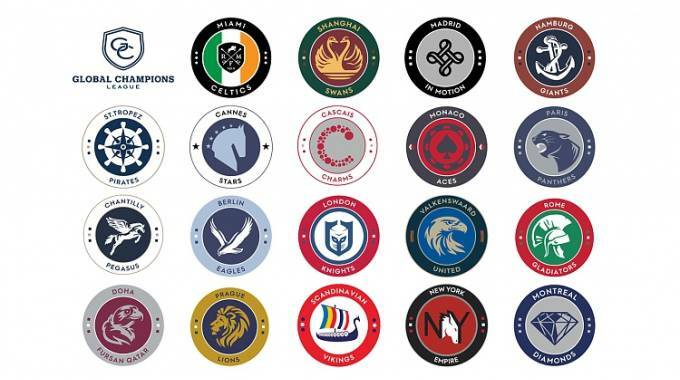 With 19 teams competing throughout the 2018 season, only 16 will qualify for the GCL Super Cup at the GC Prague Play Offs. And the Czech capital will also see every individual LGCT Grand Prix winner invited to the prestigious Longines Global Champions Super Grand Prix - the ultimate showdown starring the season’s top performers. This year's power-packed GCL sees 90% of athletes (excluding the U25 competitors) ranked in the top 250* in the world, including 25 out of the top 30 riders. And 25% of the total athletes taking part in the GCL this season are aged U25. Star names this season include Kent Farrington, Harrie Smolders, Scott Brash, Ludger Beerbaum, John Whitaker, Eric Lamaze, Simon Delestre, Marcus Ehning, Edwina Tops-Alexander, Rolf-Goran Bengtsson, Lorenzo de Luca, Daniel Deusser, Laura Kraut, Christian Ahlmann, Gregory Wathelet, Maikel van der Vlueten, Ben Maher, Bertram Allen, Michael Whitaker, Philipp Weishaupt and Pius Schwizer. Fans around the world will be able to watch all the sporting drama unfold on the official GC TV live streaming platform with expert insights and analysis from the live studios, thrilling commentary, exclusive behind the scenes interviews and features with the top athletes and their horses. GC TV will continue to innovate and elevate the viewing experience with new graphics and technology, such as the immersive 360° experience, introduced during the season to take fans backstage with the stars at the extraordinary events around the world. Strategy will be more important than ever in the high stakes 2018 season as teams decide which rider and horse combinations to field at the different events on the circuit. This year team riders will start consecutively, one after the other, quickly showing fans the total team result - adding to the tension and excitement as the following teams set their sights on the target to beat in the 1.55m / 1.60m GCL competitions. German maestro Marcus Ehning of Valkenswaard United said: "GCL is very competitive sport, with some of the best riders in the world competing in wonderful and very different locations throughout the world for the prestigious title at the end of the season." The 2018 season will kick off in Mexico City from 22nd - 25th March, where teams will reveal who they’ll select to play up front in the crucial first round of the circuit. For the full team list, please click here.